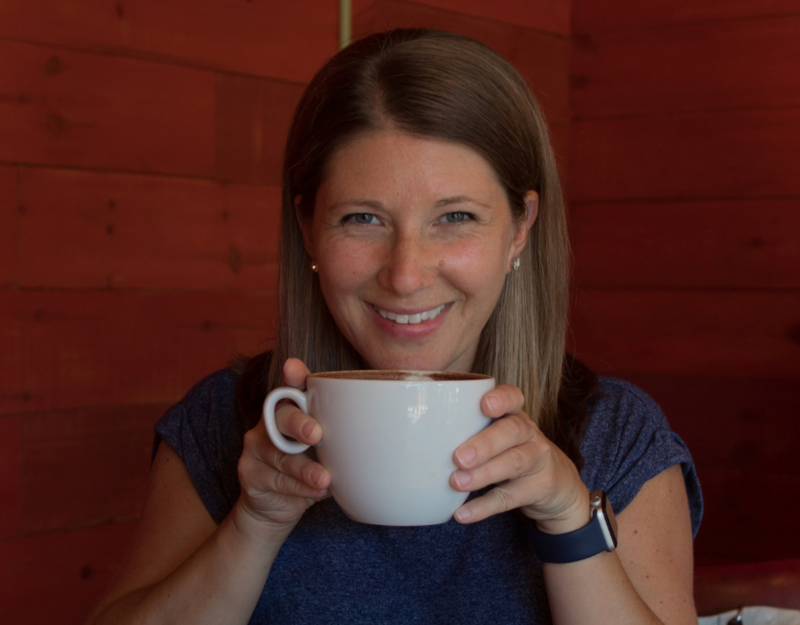 Stephanie Nichols shares how we can start being intentional about the way we show up for our kids and how to begin the inner work that we may need. 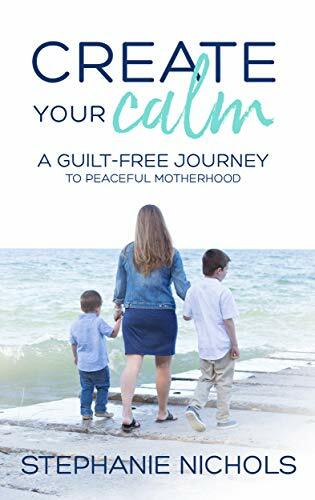 We dive into the processes that Stephanie teaches in her book, Create Your Calm: A Guilt-Free Journey to Peaceful Motherhood! Stephanie is an author and life coach for moms who want to stop yelling at their kids when they don’t listen and start showing up as the mom they want to be. Sharon: Hey guys, I just wanted to say a quick thank you to all of you for being such great listeners and for engaging with the podcast and giving me feedback when you have it. I’ve really, really been enjoying this process and I really enjoy um, providing the content for you guys and connecting with you guys so, I appreciate you and thank you. I also wanted to just let you guys know that for the foreseeable future, the podcast is going to come out every other week as I am working on some really, really cool stuff in Raiseology and it’s going to require a little bit more of my energy, at least for now. And um, I’m not sure yet, but there is a chance we may take a little short break over the summer and I will definitely keep you guys posted on that. But for now, every other week is when you will get your episodes on Tuesdays and I’m always open to suggestions on what you guys want to hear about, any topics or even people that you’d like me to interview on the show. So just shoot me an email. It’s Sharon@Raiseology.com if you have any suggestions for any of that. I appreciate you guys again and thanks so much for being such great listeners. I am super excited to be here today and I have with me Stephanie Nichols and she is the author of the book, Create Your Calm, a guilt free journey to peaceful motherhood. She’s also a life coach for moms who want to stop yelling at their kids when they don’t listen and start showing up as a mom they really truly want to be. Stephanie’s a mom of two boys, a choir geek, a runner, and a decaf Mocha lover. She is known for her passionate personality and bright smile. She’s a strong believer in the ripple effect. She believes that if we moms can do the work it takes to find that calm and heart-centered place inside ourselves, we can make a difference in the lives of our children and I couldn’t agree more. We can raise children who value their true selves and find worthiness and who they are as people simply because they have moms who are fully committed to the scene. Her mission is to help overwhelmed moms learn how to take back their lives without feeling guilty in the process. She’s working to create a world where moms stop judging and comparing and start living their best lives. 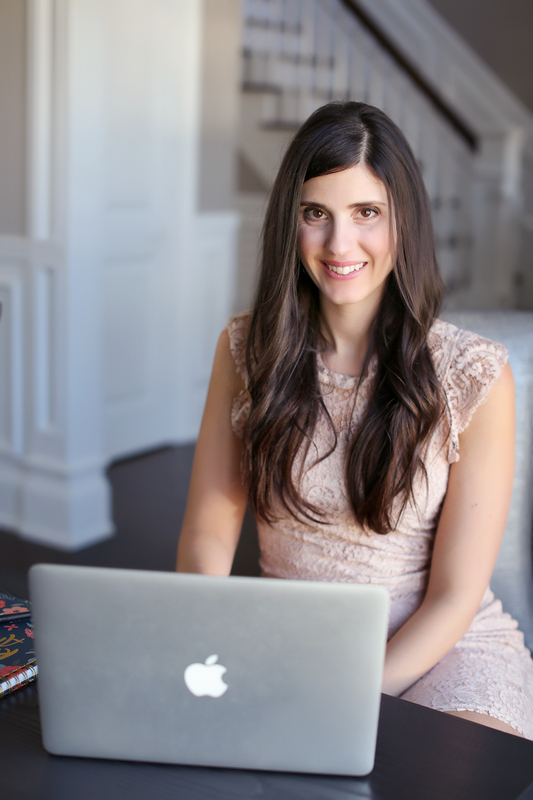 You can find more about her at StephanieNicols.com and we’re going to talk all about sort of losing that guilt and motherhood today and we’re going to talk about her new book as well and I think that it probably could help a lot of us out. So let’s get right to it. Hi Stephanie for being here. Stephanie: Hi. Thank you so much for having me. Sharon: Sure. It’s a pleasure. I’m so excited to have you and to um, discuss, I know we kind of talked a little bit before we hit the record button here, but um, we are, are very much in alignment with the way that we think and um, I have been doing a lot of soul searching in the last few months and really have come to feel that this is such an important part of my journey to really help moms find their, their calm and, and really change sort of the way they feel about parenting, um, in order to help their kids futures. And so I’m really excited to meet someone and talk with someone who feels that way as well. Stephanie: Thank you. I’m excited to be here. I’m excited to dive right in and start talking about it. Sharon: Yeah. So, um, so let’s start. So what, um, I guess the first question I would ask you about mom guilt cause I think we, we sort of all feel it and it comes from a lot of different places. And I think that’s probably the first place to start is like where does the idea, the notion of mom guilt actually come from and why do we even feel it in the first place? Stephanie: So it’s interesting because I think it’s actually a combination of things. One, I think when we, you know, when we entered into this motherhood journey, we’re shifting from being a person who doesn’t have kids to be in a person who does have kids and there are differences there and responsibilities. And so when you become a mom, you have to, you know, stop and pause and kind of re-identify, rediscover who you are again and kind of find that person that you want to be and how you want to show up. And I think for a lot of moms that’s, that’s a difficult time because there’s so many other things going on. And so, you know, when you take that time to pause and get really clear with yourself about what kind of mom do I want to be, then it allows you that opportunity to, um, to kind of get clear with yourself about what your, what your values are. But I think the other piece of it is just trusting ourselves to make decisions in motherhood. And I think for me personally, this was something that I had to consider when I had kids was, where am I making this decisions from? Am I making them, uh, you know, from a place of alignment with who I am as a person and how I want to show up as a mom or I may making this decisions from a place of how other people perceive me and how other people want me to, um, mother, my children. And I think when you lack the ability to trust yourself in motherhood, you tend to compare to other moms. And it’s easy to lose yourself when you’re comparing to what other people are doing. Because as you’re looking out and looking to see what other people are doing, we have this tendency to judge. And so we judge what other moms are doing and then we label it like this is a good thing. This is a bad thing. And so based on what we see other people doing, then we make a decision for ourselves based on what we think they sh they think we should do. And so I think that’s where the guilt comes in, right? We’re not clear about what we want in our life, like what our values are or, or an an accommodation of, um, you know, we don’t trust ourselves to make a decision in motherhood. And so I think it, it kind of all ties down to, you know, being able to trust yourself to make decisions and motherhood and know what your values are in order to make those decisions. Sharon: Yeah, I think that’s absolutely right. And, um, I, I actually, it’s funny cause we haven’t discussed this, but just the other day I wrote down in a notebook that I have about how, um, comparison is really like the, this demon in parenting that really just is so hard for, for all of us. I mean myself included, right? We all have those moments where we are either comparing ourselves as parents are comparing our kids. And you know, I, I had this all the time in practice where I was talking to moms and dads about, you know, the evils of comparison and how, you know, every person is different and comparison only makes you feel worse at the end, you know. Um, and so it’s, it’s totally true what you’re saying. I think that it’s hard, but it is hard to avoid that. So I guess, do you have any tips on how you can really get away from comparing yourself to others? And I know that that probably has a lot to do with feeling totally confident in what you’re doing, so you don’t feel you need to compare. Um, but I would love to hear your thoughts on that. Stephanie: Yeah. So it’s actually, it kind of ties the first half of the book. So in the beginning of the book, I talk a lot about what the first step is. So the idea behind the book was really to give a starting place, right? Cause I think we start to feel overwhelmed when we don’t know where to begin. And when things kind of feel overwhelming, we just shut down and we have inaction, we do nothing. And so the intention behind the book was to have a starting place. And so the starting place in the book is talking about really getting clear about who you are as a person, right? Like rediscovering you at your core and getting to know who you are as a person. Um, and that’s not as a mom, it’s not as, uh, you know, employee, that’s not as a daughter, as a wife, as a sister. It’s as a person, like who are you as a person and getting really deep and like taking that time to really slow down and be clear with yourself about what kind of life you want to live. Because I think it’s easy to, um, look at other people and see what kind of lives they live and think, oh, that would be nice, if I could have that, that would be nice. That would be nice. Um, it’s actually one of my pet peeves when people say, Oh, must be nice. Like I absolutely hate that phrase. But, um, when you get a chance to take a look at yourself and to be really clear with, um, who you are as a person and you focus on yourself, it eliminates that desire to look outside of yourself for confirmation that you’re doing it right. Because I think we are seeking that, right? Like we’re seeking that validation that what I’m doing is right. But when you’re really clear with yourself about what you want and what kind of life you want to live, it almost lessens that desire or that need for validation outside of yourself. And so instead of focusing your attention on what other people are doing, you focus on yourself. And then in turn, like that eliminates a lot of that, um, sense of comparison because you’re not looking outside of yourself to, to love yourself. You’re not looking outside of yourself to feel confident in yourself. You’re looking within. And that sounds kind of cliche, but it’s very true. Sharon: Yeah, it is true because I feel that a lot of moms reach out to me because they are, they are literally worried about the decisions that they’re making and what those decisions will mean for their children’s future. Right? And it could be even the smallest decisions that they’re, that they are concerned about. Um, and I think that we don’t give enough or enough credit to ourselves. Right. Stephanie: Yeah. Well, and you know, you’ve just brought up an interesting point too, and this is something that I work a lot on, um, with my own belief system is the ability to make the right quote unquote right decision. And I think it’s really important to stop and pause and question that, right? Like get really curious. What does that mean? What does it mean to make the right decision? Because when we decide that there’s a right decision, then there has to be a wrong decision. Sure. And so if there’s a wrong decision, then we sit in this place of indecision, right? Like, um, one of my mentors, Brooke Castillo, she likes to talk about indulging in confusion and indecision. And when we indulge in that feeling of indecision, we don’t take action. We don’t do anything. We just spin and indecision. And so I feel like if we can get to a place where we just say to ourselves, and this is something I practice, I actually practice this thought. I say, you know, I am making a decision. It’s not, I’m making the right team. I making the right choice. I’m making, I’m making a decision, I’m making a choice. And I’ve tried to really eliminate that from my vocabulary because when I tried to think of myself, I mean, right now I’m going through a huge shift in my life and I’m, you know, questioning and getting really curious about everything that’s happening. When I try to make a decision from a place of, is this the right or wrong decision? It comes with this heavy burden of responsibility. Like I have to make sure I’m making the right choice or I, you know, I don’t want to make the wrong choice, but if I decide what, what is it that I want, where’s my goal? Right? Like what are my values? And then I make a choice. It takes that weight off of me where I’m like, okay, I’m not going to sit in indecision and decide. I don’t know. I don’t know, but I’m gonna make a choice. I’m going to start moving in that direction. And I think that’s a huge thing for moms is that we, we are inundated with so much a societal influence, right? Like our, our friends have opinions on the way that we parent. Our parents have opinions on the way that we parent. And when we get really wrapped up in that and we look at what they say as being the right way or the wrong way, then it starts to feel overwhelming. And when we feel overwhelmed again, we don’t take action. And so it’s used to just sit in this place and you spin and you feel guilty. And then you feel guilty for feeling guilty. It just compounds and then you know, like it’s not getting you anywhere. It’s not serving you at all. Sharon: Yeah. And I mean it’s, and then you just, you feel horrible that you’re not doing anything. And you know, it’s a cycle that keeps going. And it’s interesting. I mean, I also think that there’s, you know, the, the decision that you make at any given point is the decision that’s good for you at that point. You know, so it doesn’t matter what your neighbor or your friend or you know, your mother-in-law thinks because that’s not who has to deal with the consequences of those decisions also. Stephanie: Yeah. And one of the things too, that I mentioned in another podcast interview, it was, you know, having your own back, right? Like make a decision and then have your own back on that. Like, don’t decide that you’re going to change your mind. Like, make a decision and then stick with it. Sharon: That’s hard to do. Stephanie: It is hard to do, but you know what? I can do hard things, right? Like, we’ve gotta, we’ve gotta be able to do hard things. Like I’ve heard a lot of people say, you know, like parenting is so hard and motherhood is hard. And, and I, I believe that’s true. Like there are a lot of hard aspects of motherhood. Um, but I can do hard things. I’m perfectly capable of doing hard things. Sharon: Yeah. 100%. I love that. I think that, that I think that that’s something that we, especially in today’s society, we expect things are going to just happen easily. Um, and it’s, I always say like the things that happen easily aren’t the things that are the most worthwhile having. Right? Stephanie: Usually. Yeah. I would, I would typically agree with that. Sharon: And so, you know, you can take the easy route and recognize that something is going on and needs to change but not do anything about it. Right. Because at the end of the day, making change is way more difficult than, um, then keeping things status quo. but I think you need to think about what are the potential benefits to making those changes and then what could potentially happen if you don’t make those changes. Which life do you want to live? Stephanie: Right. And interestingly, when I think back to, so the book is talking about the process of my specific motherhood journey, but it also gives some actionable things and some suggestions on things that moms can do to really align with their true self and to create a life that they love. Um, that’s kind of the two parts, like the inner work and then the outer work. And as a result of all of this research that I did on this journey, I realized that it not only shifted the way that I showed up in my life, but it, it changed the relationship I have with my kids. And I like to explain it as though I’m looking at my life and slow motion now. So instead of it being in this rat race, fast paced, wearing busy as a badge of honor, I now look at my life as this opportunity to really be intentional, intentional, and thoughtful inhow I spend my time and in turn that has shifted how my children show up in their lives. Um, and I have two young boys, so you can imagine like there is chaos that happens. I mean, they, uh, they’re very energetic, they’re loud, they’re joyful, they’re curious, they’re creative, they do all of these things and you know that children do. And I think the way that I showed up for them before I learned about all of this and before we went on this journey before I did that hard work, was to get angry with them and to shout at them and to yell at them and to feel resentful of my life and all of these things. And now I’m in this place where I stop, I slow down and I look at all of the opportunity to round me and I’m really clear about what’s important for me and what’s important for my, my children. And that allows me to make decisions for us. It allows me to be confident in my belief that I can make decisions in motherhood because I make a decision and then I have my own back. And I noticed that my kids see what I’m doing. And even if they see kids doing things they’re not supposed to do, they understand, um, like how to make choices because they’re watching me. And I think, you know, that’s something that we don’t, we don’t think about as much anymore because we’re trying to just get through. Right? Like I hear a lot of people are like, well, I’m just trying to do the day-to-day things and then they’re not realizing that what they’re doing, they’re like, do as I say, not as I do. Right. That, that phrase, which doesn’t work at all. It doesn’t work at all. And it’s so interesting because if you think that your kids aren’t listening or watching, they really are and they take so much away from what you’re doing. And you know, back to your point about when you, um, are willing to do that hard work, the, the worthwhile part of it is getting to see the benefit it has, not just on you, but also that ripple effect, right? Like it also has an impact on your kids. And I just think that’s so huge. Um, if you can, if you can look at it that way. Sharon: Yeah. I mean, I’ve totally seen that change even in my own home. And you know, I mean, I have kids that range from three and a half to 12. Um, and we certainly have challenges at every age, right. Um, but I have seen in the last six months or so since I’ve made very intentional, even in the last year since I’ve made very purposeful and intentional changes in my own life and really in some cases put myself as a priority. Um, everyone at home, including my husband and my kids. And, you know, honestly, even my extended family has noticed and benefited from it. Right. Um, and when I, you know, I have moments, I’m human, like everyone else and when I have seen myself go through periods where I’m not paying as close attention to those things, um, and I make the changes I need to make to regroup. I see that pattern changing in them too, you know? And suddenly my 12 year old is waking up happier in the morning and you know, and also learning that about yourself allows you to coach them differently. Stephanie: Yeah. Yeah. I totally agree. Yeah. And I think too, like part of it is deciding how you want to show up. Like right. I think that’s where you kind of start is how do I want to show up in this world? What kind of person do I want to be? And in those times of adversity, when you’re challenged with something that’s not going the way that you wanted to, how do you want to show up? How do you want to show up for yourself? How do you want to show up for your kids? And I thought it was really interesting how you said, you know, when you even prioritize yourself, like the impact of that has. And you know, I think that we’re getting more and more towards this notion that self care for moms is more than, you know, bath bubbles and that sort of thing. But I think it’s just really important. And you said this in your podcast too about, you know, helping your children understand that your relationship with yourself is just as important, not more, not less, but equally important to your relationship with your children and your relationship with your husband. And I think it’s important for us to be really clear with ourselves about is that truly a value that you have? Like are you truly valuing yourself and holding yourself to the same standard that you are to the relationship you have with your kids and your husband? I just think that that’s something that is, you know, we’re getting closer to where I feel like moms are, are better about it as far as like noticing it and becoming aware. Um, but I still think that we’re, we’ve got a far way to go. Sharon: I think we’re, but I think we still feel guilty about it. Right? And in some, in a lot of ways, moms feel guilty about it and I think even though they know or, or there’s enough information out there to make you understand that it should be completely acceptable. And you know, not that it should matter what other people think, but right. Our society does dictate a lot of these things for us. Right. Um, if we allow it to and um, but still I think that it’s hard for moms to accept that it’s not selfish. Sharon: And I love how you worded that cause that you said what I was thinking and you said it really eloquently. Thank you. I think to piggyback off of that, it really comes down to what our thoughts are around it. Right? Like if you can start to, and one of the tools that I use for my clients is to have them do what’s called a brain dump. I just have them write down everything they’re thinking on a particular topic. If were having an issue, you’re right. Everything we’re thinking right. And then we pull out out of that what you just told me, what is like, what’s factual, right? Like where are the facts here and where are your thoughts? And then when we look at those thoughts like do you want to keep believing that? Like is that thoughts serving you? And I think that would be really beneficial in this circumstance when you’re looking at why are you feeling guilty about taking time for yourself? And when you look at those thoughts around it, you know, take those thoughts and really get curious and say, is this thought serving me or is this a self-sabotaging thought? And then being intentional about what thoughts you put back in, right? And then we practice those intentional thoughts. Like, so I have this exercise that I do for myself and it’s called what do I want to believe to be true about me? And so one of the things that I’ve been working on a lot is I, I believe that I can make decisions in motherhood. Like I trust myself to make decisions and I have to practice this thought. This is not something that comes naturally to me. Um, and I have practiced other thoughts for so long that they’ve created, you know, that neural pathway to my brain where that’s the default. So when I’m not paying attention, that’s where I go. Right? So if something happens and I’m not paying attention, I’m like, oh, I don’t know. I don’t know what to do. And then I stop myself. I’m like, wait, that’s not true. I, I trust myself to make decisions and motherhood. I trust myself. I know what to do. And so I have to be really intentional and then practice that thought. And then not just when it’s occurring, but also when it’s not occuring. So like, you know, wake up in the morning and I’m like, I trust myself to make decisions because one of the things that causes me anxiety is that thought. The thought, I don’t know how to make it. Like, I don’t know, right? Like that gives me anxiety. And so I’ve been really focusing on taking those thoughts that are creating certain feelings that I am trying to work on and changing them. And so I think it’s really cool that, you know, the way that you just described I think was really cool. Sharon: Thanks! I think that part of the problem is that people don’t really believe that they can change their thoughts. And I had actually had this discussion with my husband just last night. It’s really weird. Um, but you know, he was having a thought that I felt wasn’t really, you know, I think he also felt wasn’t serving him well. Um, and was making him feel very frustrated. Right. And I tried to explain to him that if we think a certain way, that’s why we feel a certain way and it, it’s really hard sometimes to not want to feel that feeling that’s frustrating before you can move on to the next feeling. And that’s what he was explaining to me. Right. But he was like, I totally understand what you’re saying. And yes, it’s not serving me well to feel frustrated about this thing that is not in my control, but I also need to have those moments to vent and feel that frustration before I can move on. Stephanie: Absolutely. Absolutely. And I love that he was so aware of that. That’s, yeah, but I mean it’s so true. Like we have this tendency to notice feelings that don’t feel good and be like, oh, resist, resist, resist, push it away. Like push it down. I don’t want to feel angry. I don’t want to feel sad. Um, for me like what that just triggered was like funerals, right? Like grief for me, death, which are two different things. But you know, when I would go to a funeral, I would resist. Like I would resist feeling sad. I would resist not wanting to cry, not wanting to grieve because I felt like, well this is icky. Right? But then when I shifted my perspective and I was like, you know what? Like I want to feel that grief. Like I want to feel that sadness and just allowed myself that space to work through that emotion, right? Like emotions are vibrations in our body. And so for me, like when I’m feeling that sadness, like I feel it, that visceral response in my body. And so just allowing that to happen and even like finding activities that I can do to kind of release those emotions. Like for me, it’s watching like a sad movie or listening to a sad song. Um, or even just like journaling about something that is very near and dear to my heart. Like just releasing that emotion. And then when you’re past that point of, um, you know, like hanging onto that emotion and the emotion is ready to be released, then you can move on to that next step. But I think you’re right. I mean, I think a lot of people look at it as though they don’t have the ability to change the way that they’re thinking because they’re not ready yet. They haven’t found the right thought to think or they’re not ready to change that thought. And that’s okay too. But just be aware and be honest with yourself that you’re choosing not to change it. It’s not because it’s not an opportunity for you or that it’s not there for you. It’s that you’re choosing not to do it. And that’s okay. Sharon: It is okay. You know, sometimes for me it’s frustrating to see someone that I love in that moment of like, you know, it almost seems self-defeating, right? But I have had to sort of say, okay, you know, it’s not my job to fix that problem. Right. I can bring awareness to it, but they need to fix that problem. You know? Stephanie: That’s true for kids too. Sharon: And I think, yeah, I had this discussion with my daughter yesterday about, you know, she was telling me, it was very interesting day yesterday. She was telling me that she’s been having, she’s only seven, not even seven. And she, she said she was feeling really left out the other day and she went into her room to cry. And sometimes when she goes into her room to cry because she’s feeling left out, she starts to think of other times that she was feeling left out and cries even more, you know? So I said, well, instead of thinking about other times you were left out, like maybe you could think about the times that you’ve felt included, you know, and maybe that would change the way you feel. And instead of feeling like you can’t do anything about it. Right. You can say wait, other people have wanted to include me in the past. It means I’m probably pretty great and like let me get out of this funk and go do something about it. Right. But at the same time like that all sounds well and good coming from me, but she may just need that time to have those moments and that should feel okay to me too. Stephanie: Yeah. So I’m curious, I’m going to throw this back out and you’re like, when you have a circumstance like that where um, you see that your daughter is crying, like how, what, how, what do you, how do you make that decision? Sharon: So it’s really interesting cause I didn’t know she was crying at this time, we were home. But she did, she went and did that without telling anyone. So like, I mean we were a lot of people at home that day and I didn’t even know she went to her room for, I mean she says an hour, but she’s seven. She has no idea what an hour is was 20 minutes, you know, you know, so like as far as I knew the kids were all playing, it wasn’t like a big to do about it. Right. Um, but if I see that they are experiencing an emotion such as like they’re upset about something, I mean it happens a lot. Right? She’s the third daughter. I mean her older sisters might pick on, her younger sister, my God. Um, I, I always say it’s important to, to acknowledge the feeling. Um, which is interesting cause I, I grew up in a very, very loving home with very authoritative parents and I actually think it was an amazing upbringing. But the one thing that I always felt was kind of like, well, I didn’t know I felt it then, but that I feel today was missing was that an acknowledgement that you can accept the way you feel in a moment. Um, and I think that that’s the difference between how I parent my kids today versus how I was parented. Even though I think I was parented in an amazing way for that time. Um, I think that I wasn’t really, I didn’t really feel like I was allowed to feel sorry for myself or angry or upset. Right. I felt like I couldn’t bring those feelings out because it was just not what we did. Right. Like, and while I have an extremely positive personality and I really do think of things, glass half full, most of the time I, I think it’s important for not only for me to acknowledge when I’m not feeling that way, but for me to give my kids the space to feel how they feel and acknowledge it. However, I do feel strongly that the way that they express that, has to be monitored. Um, so I, you know, I deal with this with my three year old a lot and I’ve talked about on the podcast too, but she made, she gets sometimes really angry and I totally accept that she can get angry and she should be allowed to feel angry and, and understand for herself what that means, but she cannot throw things and she cannot hit her sister or me or you know, as a result of feeling angry. Like that’s not okay. Right. So that’s how I approach it at home. Um, learn it, you know, honestly like starting to actively like coach my younger kids. I feel like I’ve always sort of coached the older ones, but starting to even coach the younger ones more intentionally, I think I’ve done it sort of subconsciously throughout the years, um, has made a difference for our family. Stephanie: Well, it’s so fascinating and I love just listening to your, you know, your brain, like everything that you’re saying. Like, cause I can see you like as you’re thinking about all these things, it’s just so incredible and I love that. Um, and it’s very similar to the way that I parent. And so I think we have a lot in common. Um, and I find it interesting because raising boys is, is different, right? I mean, there are some things about boys just naturally that tend to be different. Um, and then they’re also like the societal things, right? Like, you know, we’re trying to break some of these stigmas about, you know, boys not crying or things like that where it’s very interesting raising a boy and being very intentional with how you’re raising them. And you have to be really clear about like, what kind of person am I raising? Like, what do I want the end outcome to be? Um, because when you’re not being intentional about it, you just slip back to the default and the default is typically the way that you were raised. And that’s not to say anything about my parents. I mean, I feel same way that you do. I feel like my parents did the best that they could be. They were the best parents. They still, they’re both still alive. Um, and so the, you know, the parents with me in the best way that they possibly could, but when we’re not being intentional, we just fall right back to that default. And I feel similarly, I think my parents just were not aware of acknowledging emotion the same way that we are now. Like I just think it’s so fascinating. Sharon: And I think it was really something in society. And I actually, it’s interesting because I do think that my dad specifically, even though he wasn’t the one home all the time and my parents, you know, are honestly my closest friends today. But, um, they, they did parent with that intention and they always, um, really, I mean now thinking back to conversations that we’ve had as kids, I know that they were parenting from that perspective of really feeling clear on who they wanted us to become. And actually, I have a group coaching program and the first thing you do in my group coaching program is actually like listing out who do you want your kids to become, right? Because I don’t think you can make decisions confidently if you don’t know what your end goal is. Stephanie: I agree. And it’s funny because in mine, my coaching, it’s always focusing on the mom, like who do you want to become? Right? Like I think we’re adults and we’re grown up, quote unquote grown up. I don’t know, growing up. But it’s a whole different concept to look at it in that perspective of like who are you becoming? Or in your case, like who do you want your children to become? And I think it’s hugely important to look at it from that perspective in order to get the result that you’re intentionally trying to get. Sharon: Yeah. And they think that that’s, you know, that’s where I think, yeah, it’s important to really discuss with your co-parent what your values are because you don’t want to be in a position where you’re both parenting your kids completely differently. Because that sends a lot of mixed messages and it’s hot. That’s, I think the challenge because we all were raised differently. We all have different truths. Right. And it’s important for us to come to some sort of an agreement and a discussion and a compromise about that because otherwise I think nobody’s being clear. Stephanie: Yeah, I totally agree with that. I had so many thoughts as you were saying that, but, haha. Sharon: yeah, I mean, listen, that’s, it’s a challenging thing and especially when you, when you come from different worlds and you know, my husband and I were parented completely differently, you know, and my mother-in-law God bless her, like raised her two sons to be very successful, you know, great people in a very different way and in a way that felt good to her. Right. Um, but at the end, at the end of the day, they, they both got their desired results. Right. Um, but that presented some challenges for us, right? Because I want to do it my way and he wants to do it his way. And, you know, I mean, we’re fortunate that we both want the same end results and, and I think that in most cases, you know, most people have similar end results. And so it’s just a matter of figuring out the right process to get there. Um, and, and it has to feel good to everyone. Um, and that’s the challenge. Sharon: But yeah, I mean this has been really exciting. I want to hear more about your book actually. Um, because I think it sounds really interesting and exciting. Um, who would you say the book is for and what, you know, what would be your biggest take home message for it? Stephanie: The book was really written well, the book was written, um, out of my own journey as I, as I mentioned in the beginning of this podcast. But the end result of the book was, it’s like this gentle walk on a journey through motherhood and just kind of creating awareness about different parts of your life. So the beginning of the book talks a lot about the inner work and that’s actually what the first part is called is your inner work. And it’s all about getting to know yourself and understanding what it means to be aligned with yourself. Cause these were all foreign concepts. I have no idea what any of this was years ago. Um, and to be honest, I had heard about meditation. I’d heard about, you know, all of these tools. I’m like, okay, sounds great. Thanks. Sharon: I meditated yesterday for the first time in my life. Stephanie: I love it. I love it. You know, I just feel like there are a lot of people in that situation where like, yeah, it sounds great, but you know, it’s like one more thing I need to add to my, to my list of things to do. But let me tell you, when I started to meditate, like at first it was completely frustrating. I was like, this stinks. Like I can’t sit still, I can’t get my mind and I recovering perfectionist over here, could not do it perfectly. And so I was like, this is so frustrating, but I was like, you know what? I’m going to stick it out. I’m going to do it. Because I was in a place where I really had to do something. Like physically I was experiencing so much anger and resent, like I physically needed something and I was like, I’m willing to do anything at this point. So I started to meditate and I finally got to this place after, I’d say probably a couple of months of doing it, you know, I mean, I tried to do it regularly, but let’s be honest, I did it when I could. I’m a mom and you know, years ago my kids were very young because they’re only three and six now. Um, and so, you know, when you’ve got young children it can be more difficult. But I was like determined to make it a habit. So I created this habit of meditating and I, the benefit of it, just creating awareness around my thoughts and creating space for myself and reminding myself to stay present in the moment. Like it was huge. So at the beginning of the book talks about a lot of these concepts that I introduced myself to out of necessity, but it’s also like this gentle walk, right? Like I want readers to feel like I’m right there next to them walking through this journey. Like they’re not alone. You’re not the only one who’s felt this way, because that’s how I always felt. It was like, I’m the only mom who can’t get her kids to sleep through the night. I’m the only mom whose kids are behaving, like you feel that way when you’re isolated. And especially if you’re a stay at home mom, which I was for a little bit of time. Um, because you don’t have any outward thing to see, which can be a good thing. Um, but it’s also that, that desire for connection, but that’s a whole different story. So, you know, the beginning of the book talks a lot about that inner work. It talks about alignment and how do you tell if you’re in alignment, what pulls you out of alignment and how do you adjust when you notice you’re out of alignment. And it goes through all of that. And then the second half of the book talks a lot about the outer work, right? So it talks about now creating this life that you want to live, like being really intentional. And then it talks about setting boundaries and it talks about relationships. It talks about systemization, talks about organization a little bit. It talks about, you know, like time management. There’s a little bit of that in there that basically like the outer pieces, it talks about how to utilize now this knowledge that you have to align all of these pieces of your life with who you are. Right? Like so the first part it’s like figuring out who you are, what your values are, and who do you want to be. And then the second half is like, well how do I now take the life that I have and align it? And so the whole goal was like, where are you now? Where do you want to be and how do we close that gap? So that’s kind of what the book is in general. Like it, that’s a very generalized description of the, because there’s so much in this book, it’s really meaty. It’s got a lot of action. It’s got a lot of stories. It’s got, um, just a lot of things to offer. Um, but I would say like the one thing, um, so it’s, it’s written for moms who are feeling overwhelmed, who are feeling like out of control. Uh, and the intent of the book was to give them a place to start. Right? Cause I just don’t want moms to feel like I have no idea what to do. You read the book and like it, it’s not going to give you the answers. It’s going to create the space for you to come up with your own answers. I love it. And I think, I think that’s probably the takeaway, right? Like it’s not a cookie, a cookie cutter. It’s not a cookie cutter formula that’s going to say, you know, today you’re going to eat three peas. Tomorrow you’re going to have four pears. Like it’s going to tell you you have to do the work yourself, but here is a way to do it and it’s only one way, right? Like it’s just offering you one way to do it, but it’s giving you a place to start so that you can take out that confusion of where to start. Sharon: Yeah. It’s like a roadmap. Sharon: Yeah. I like it. I’m really happy that you came on the show today. I, I really enjoyed our conversation. I am going to put in the show notes, the link to purchase the book and um, all the links to sort of get in touch and connect. And so, um, I think thank you so much, Stephanie, for being here, it was really a pleasure. Stephanie: Yeah. You know, one more thing I wanted to offer too is um, I created a Facebook group called the empowered mom collective. And the intention behind this group was to create a space where moms could come together and feel that connection with other moms without the comparison, without the judgment, just a place to feel safe and to feel like they belong to something bigger than themselves and to feel like they have a place to feel loved and connected with other moms were going through similar things. Um, and so if any of your listeners are interested in checking this group out, it’s a private group. It’s, you actually have to, um, you know, join to be a part of the group. And I did that intentionally because I didn’t want it to be an open or public group. Um, but so you can go to the empowered mom collective and I do have a business page and then I’m there. You can scroll down and find like the private link for the, the private group on there. Sharon: Okay. Awesome. Thank you. Well, have a great day and I’m excited to get the feedback from you guys on this episode and let me know if you want to hear more episodes just like this one. Thanks for listening to the Raiseology Podcast. Head over to www.Raiseology.com where you’ll find plenty of, you’ve got this resources for parents and any links or tools mentioned in today’s show. Be sure to hit subscribe on your podcatcher so that you can listen to the next episode the minute it’s out. Until next time, have an empowered week.